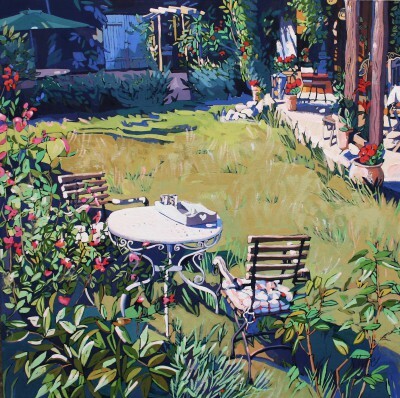 Jennifer Irvine was born in Glasgow in 1956. 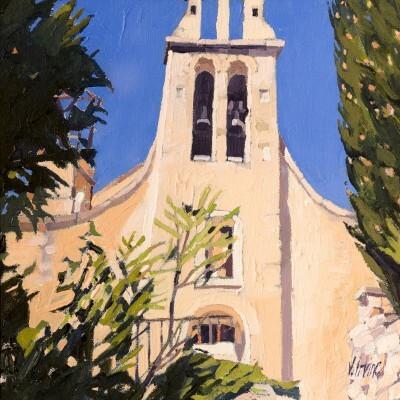 She studied at the Glasgow School of Art from 1974 until 1978. 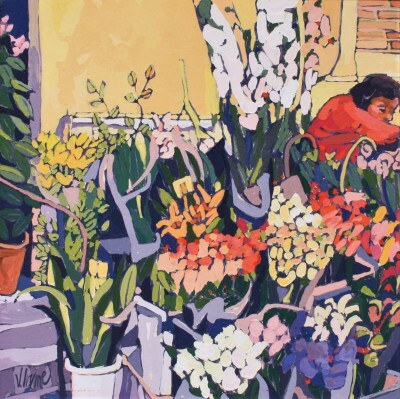 Jennifer's early career was spent teaching art in various Glasgow schools. 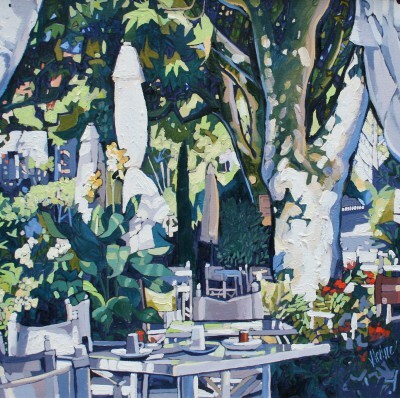 Throughout this period she continued painting and exhibiting before becoming a full time professional artist in 1990. 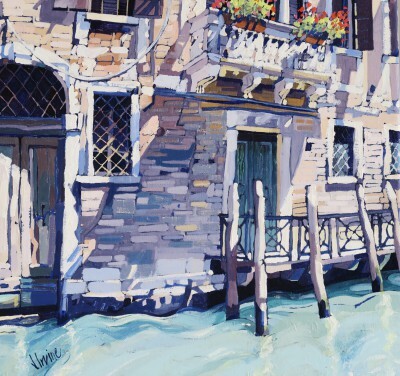 Jennifer works from her art studio in Glasgow and can also be found painting in Argyll. 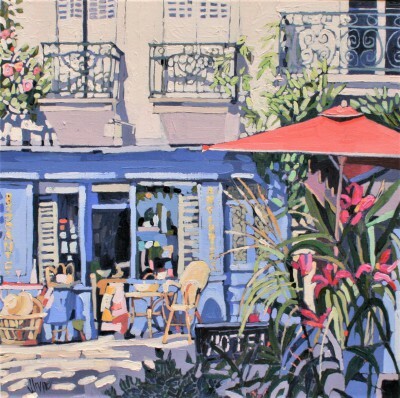 More recently she has also spent a lot of time in France, Spain and Italy where she has found much of her subject matter. 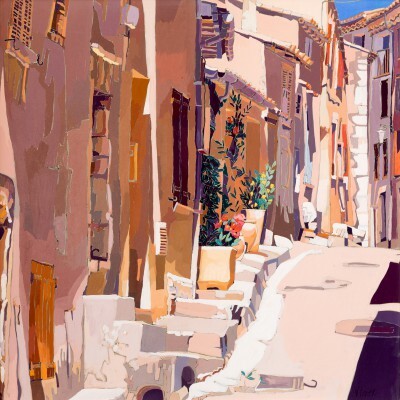 Inspiration for her paintings is broadly based ranging from still life to seascape and townscape. 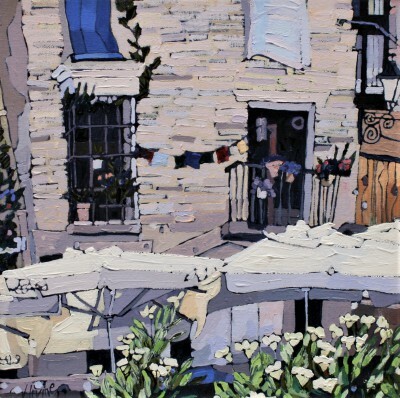 There is always a strong emphasis on light, shade and pattern in Jennifer's paintings. 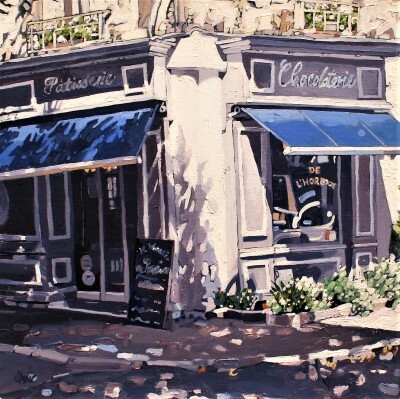 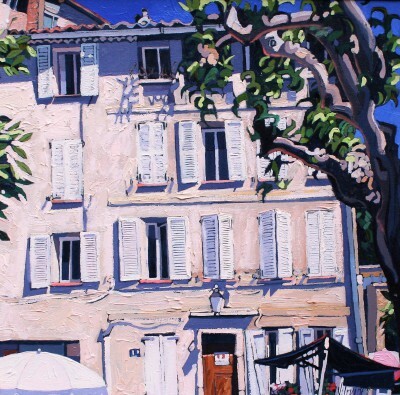 This is particularly evident in her oil paintings of French villages and Italian townscapes. 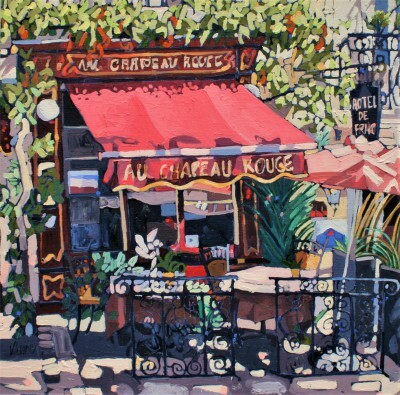 She draws on the effects of sunlight on an object, be it on a building, water or a still life subject. 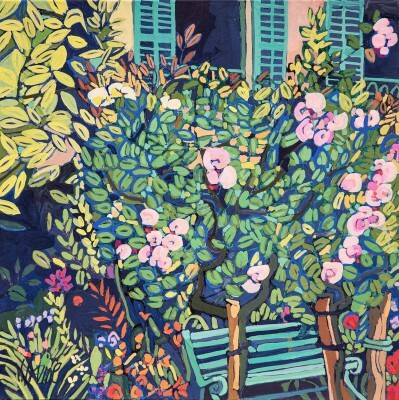 Her still life paintings are often flowers, fruit and drapery, portrayed in rich vivid colour with a profusion of pattern. 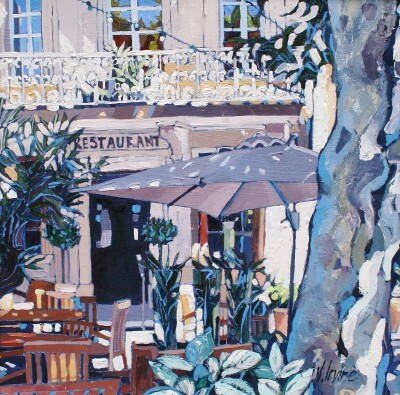 In addition to Red Rag art gallery Jennifer Irvine art work has been exhibited widely throughout Scotland and at other British Art Galleries. 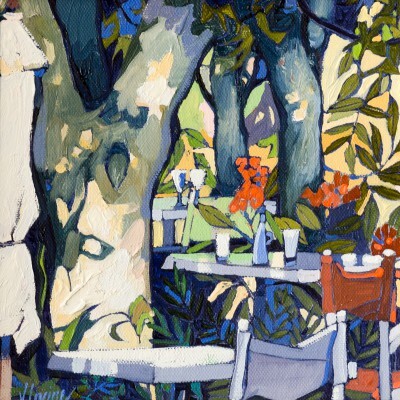 Each painting at Red Rag is sourced from the Jennifer Irvine artist studio and like all Red Rag Scottish art and Contemporary art it can be shipped worldwide.